Not sure what this hyped up product is, so checking out some CB Passive Income reviews? Great for you, this is the way to go, do your own research on any product you come across, don’t just take things at face value and believe everything that is being promoted. 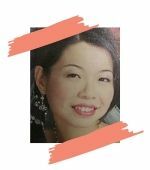 CB Passive Income sounds like a very credible product, as its owner is Patric Chan, known in the internet marketing niche for his accomplishments. And now he is promising to do all the work for you! And you get all the earnings! What kind of offer is this? To believe or not? That is precisely what we will be exploring in this article, going through every detail of what this product has to offer, so you know all its pros and cons, and will be able to make the most informed decision for yourself. In short, this is an email marketing tool which will promote ClickBank products to the visitors who subscribe to your landing page. The emails and promotional campaign will be handled by Patric. When anyone buys any product, you get to earn an affiliate commission. The catch: if you have no traffic coming to your page, there is no chance of you earning a single cent. Plus there is zero control over what goes out in the email campaigns, and what products are being promoted. Lastly, you do not even get to own the email list. So essentially, you are paying Patric to help him build up his email list. How does that sound? I will leave it up to you to decide. You may also want to read on for the in-depth review of CB Passive Income. Here we take the most unbiased view among all the CB Passive Income reviews, to be fair to what it really is. Patric Chan is the best-selling author of WakeUp Millionaire and other books. He is a recognised internet marketer in his own right, and was even invited to ClickBank’s HQ in Boise in 2015, to meet with their top management. In 2013, Patric started offering the clone of his exact webpage, product promotion, email marketing, and everything else that had allowed him to succeed in the internet marketing niche for the past many years. Log in to the CB Passive Income dashboard and insert your ClickBank ID, so that the entire commission from Patric’s email promotion effort is attributed to you. Choose one of his pages that you would like to clone. 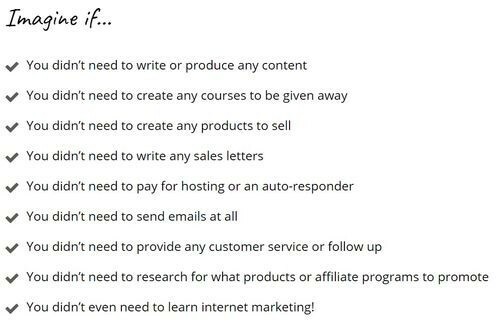 Go through the training on how to promote this new business online. Sounds good, because you do not have to do any work, and yet money rolls in. That is why it is called ‘passive income’. What happens is, after visitors on your cloned webpage subscribe to the email list, each time an email is sent to them from the CB Passive Income System, it will contain your affiliate link, so you get the full credit for the commission. And Patric keeps stressing the point that he is doing the work for you, for free! All the promotional content creation, marketing and followup emails, landing page, etc. All you need to do is focus on one simple task: give away Patric’s prepared software and training courses for free. That is how you entice people to sign up to the subscriber list. There is even training for you to learn how to get traffic from all kinds of methods, from social media to paid ads. Too good to be true? Because it is. How CB Passive Income Really Works – What’s the catch? Patric claims that this system works well especially for newbies. That is what so many products out there target: newbies. Because newbies will not be able to see what is lacking in the product, will tend to innocently buy into it, and be the largest income source for the product owners. The thing is, as a newbie, you would not be able to drive great traffic to your site. Even though training is provided, it takes time for you to complete the learning curve through your own experience, especially for social media and paid ads. It is not simply about the number of likes and followers. Without knowing the ins and outs of social media, these followers may not even visit your page at all. And each social media platform takes a lot of time and experience to master. Social media traffic may give you a boost on the numbers, but they are less likely to convert, because they are just there, hanging around because they made some connection earlier on. They may not be actively looking for the solutions that you are offering. As for organic traffic source, which is the best source of traffic to any business, you’re likely to have zero. Because the clone page that Patric provides is totally not going to get any ranking on the search engines at all, since there are multiple exact pages found all over the internet. So you are losing out on real organic traffic that can convert: visitors that get sent to your site by search engines because you are able to offer an answer to their question. Paid ads are worst for newbies. Without experience in the niche, you have no understanding of your customers’ behaviour pattern, expectations, or even where to find them in the first place. So the ad campaigns that you launch are most likely to go down the drain, because they are likely not targeted enough. See, traffic is the biggest issue for this product. Without traffic, there will be no returns to your investment. The email marketing system put in by Patric may be useful and robust, but there is no one to convert in the first place. It is put across very nicely: yes, all the work has been done for you. The way I see it, which is also the flip side of the coin: you do not know what is going out to your subscribers, and you have absolutely no control. No control over the frequency of emails, the content in them, and the products being marketed. There are so many low quality digital products in ClickBank these days, it is quite scary to let somebody else decide which ones are being promoted to your readers. And who is to audit the emails to make sure that your affiliate link is really the one sent out? I don’t mean to question the integrity of the product or the people behind it, but these are the questions you have to ask yourself, when deciding whether or not to go ahead with the purchase. Not until you pay for the upsell of $97, then you get to include the list of subscribers in your own email autoresponder, which is up to you to subscribe to. This will incur another cost of at least $20 per month, but it will be your own. Otherwise, the email list of subscribers who sign up on your clone webpage all go to Patric. So in effect, you are paying him month after month, to help him build his own list of subscribers. We must give him the credit though. That is how he succeeded in the first place, because he is so smart, and he knows to work things such that they benefit him. 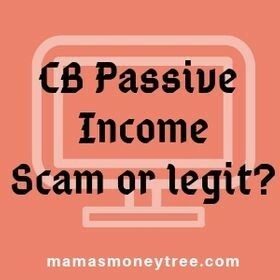 CB Passive Income does have its pros that is only fair that I should point out. 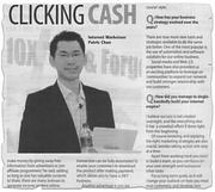 Patric Chan is well-known, and has a reputation to protect in the internet marketing niche. So he is not going to blatantly sell useless products to cheat you of your money. There will definitely be value in the software he develops, but I would say it would work much better for experienced affiliate marketers, who are able to work this email funnel into their own established traffic and campaigns. Patric strives to improve CB Passive Income on a yearly basis, adding features and promotion products. For instance, for version 5.0 released in 2018, there are entire funnels for opt-in, for his book, as well as an evergreen webinar. So he does put in a lot of effort to make the product as effective as possible. There is the 30-day money back guarantee, so at least this basic refund policy to customers who are not satisfied with the product is in place. This is a legit email marketing product, IF and only if you have the traffic. First you need traffic coming to your site, before anyone will subscribe to the email list, and a small percentage of the sign ups eventually buy any of the promoted products. Without traffic, you are not going to earn a single cent. There is some training included when you buy CB Passive Income, on driving traffic to your page. But it is difficult to get free traffic since the page is not going to ranked on search engines. Paid traffic is not advisable for beginners to implement, as you need the experience to know the market and your customers really well. Second, you have zero control over the promotional campaigns that go out in the emails, and lastly, the subscriber list does not even belong to you at all, until you further pay for it. I think you know my take by now. Even though I try to provide the fairest among CB Passive Income reviews, I really would not recommend it for beginners in the internet marketing niche. If you really want to build a passive income, you got to do it the right way. Build a website around your passion, so that you know the subject, and can add value to people who are looking for answers in this niche. Then write content that will get you ranked high in the search engines, so that massive amount of traffic comes to you, you do not have to pay a single cent or make your rounds on social media everyday for it. You can also have your own email list when people subscribe to your website, and implement your marketing campaigns from there. You have total control over what goes into them, what your loyal readers get exposed to. So you will obviously choose products that meet their needs, and are of the highest quality. This is exactly what I have done. 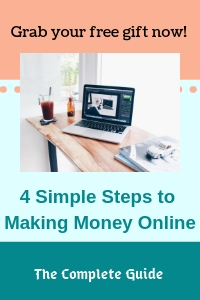 I can show you the learning platform that supported me all the way from the beginning, when I knew nothing at all, to now owning a few websites that are making money for me. Five Minute Profit Sites Scam or Legit? Is AppCoiner a Scam or $15 per app review?